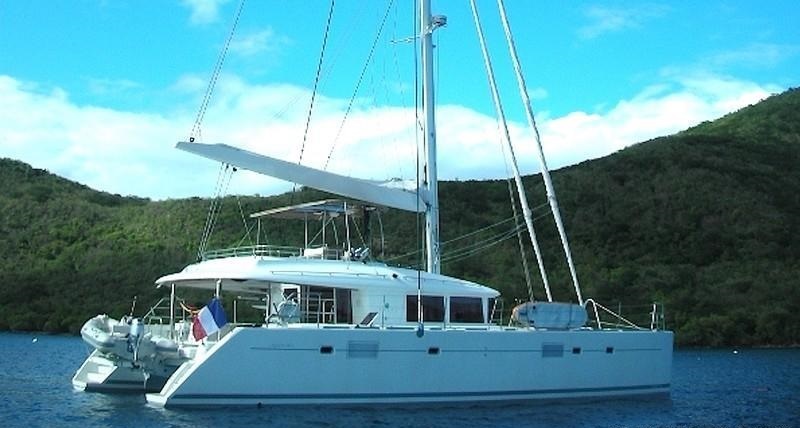 Sailing catamaran ZYLKENE was delivered by the French Shipyard Lagoon in 2012 and measures 17.1m (56ft). 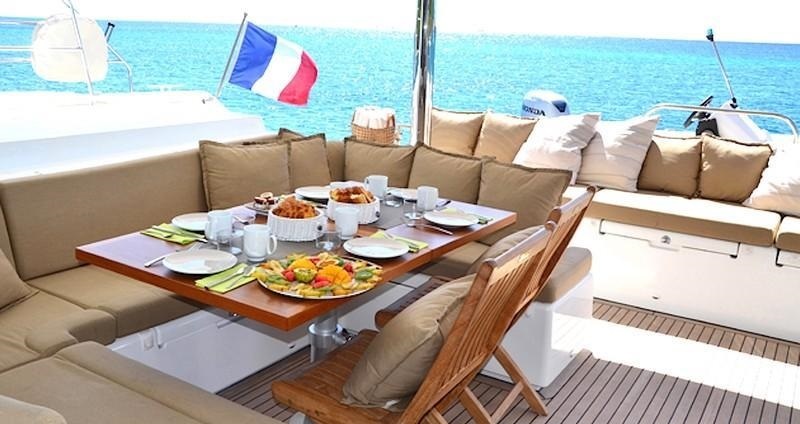 The flybridge designed catamaran ZYLKENE is the concept of Van Peteghem-Lauriot Prévost and boasts interior design by Nauta design, offering spacious accommodation for up to 8 charter guests. 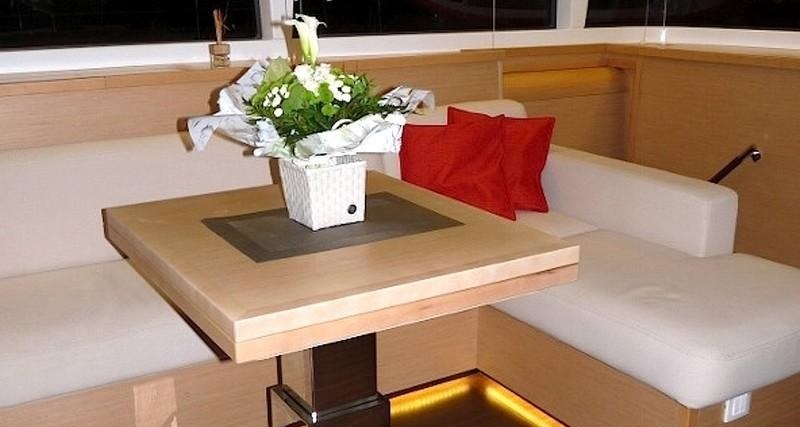 Crewed charter yacht ZYLKENE has a light airy interior finished with Apli® woods and neutral soft furnishings. 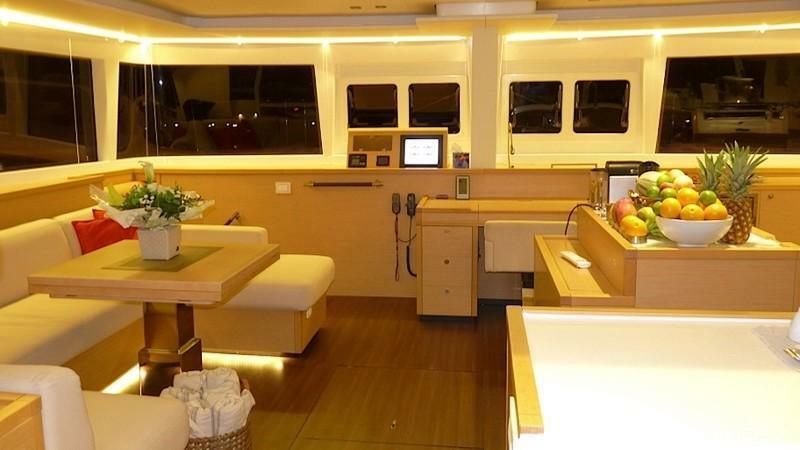 The salon is a contemporary open plan, with a generous lounge to port and full service galley to starboard. Surrounding vertical windows allow ample light to infuse the space, while providing beautiful views. 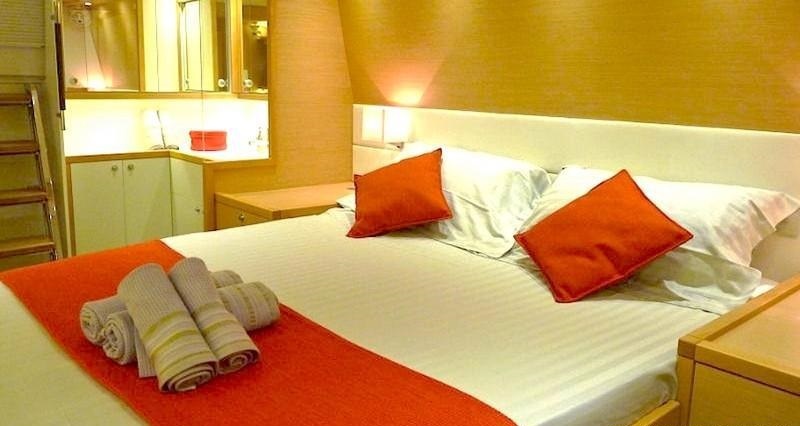 Guest accommodation is in 4 en-suite double cabins, each fully air conditioned. 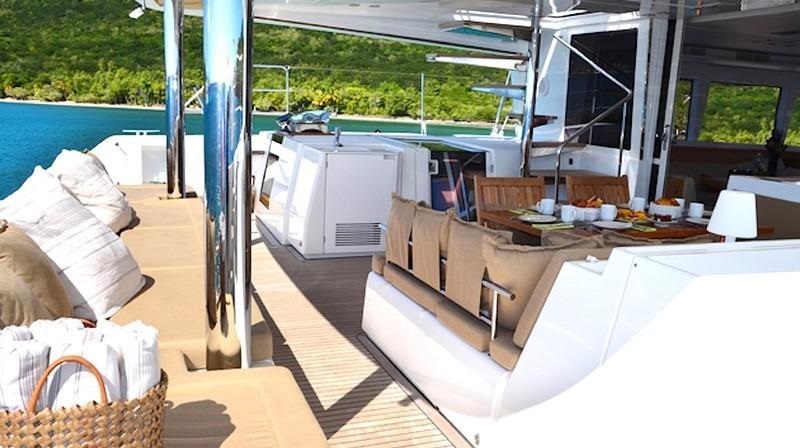 The Lagoon 560 catamaran ZYLKENE is ideal for charter thanks to the exceptional exterior living space. 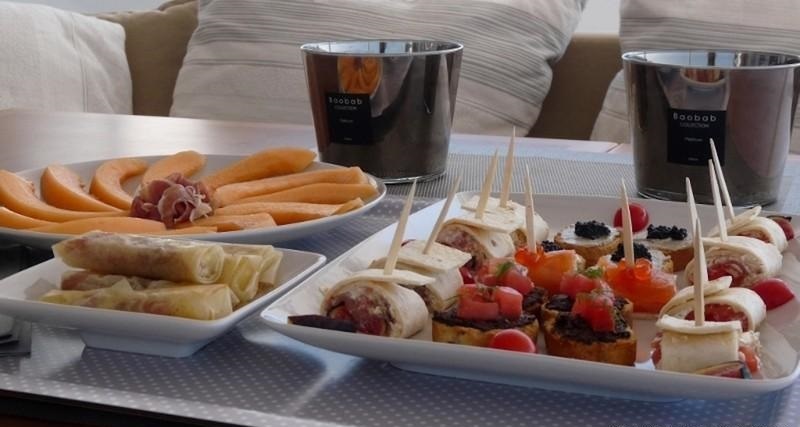 Aft of the salon, wide sliding glass doors lead onto a large shaded deck, offering an alfresco dining option, full beam aft seating and wet bar. 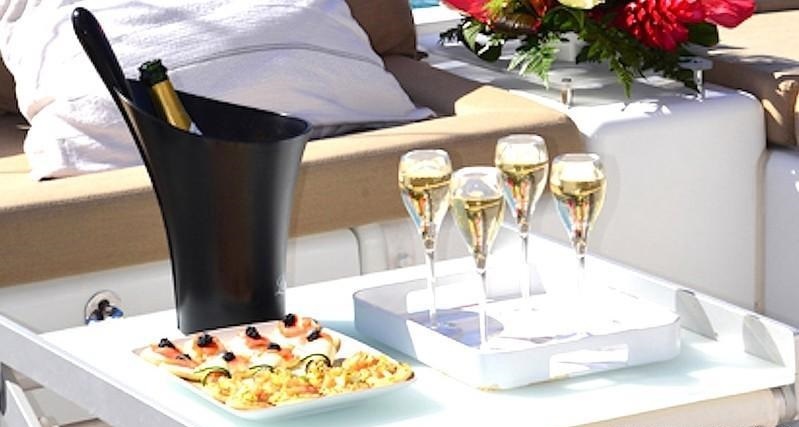 Two sugar scoop transoms make taking a dip in the water easy, whether you wish to simply relax or have a go on one of the many sea toys. 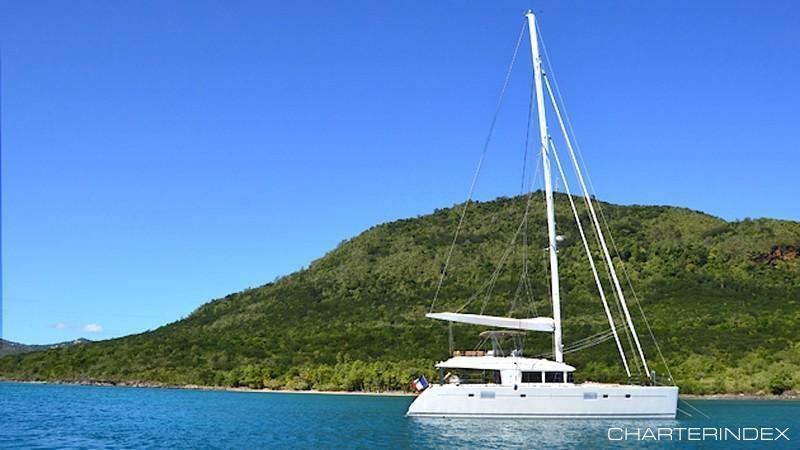 A beam of 9.4m (31ft), enables guests to wander forward both at anchor and underway, to make the most of the capacious foredeck and double trampolines. 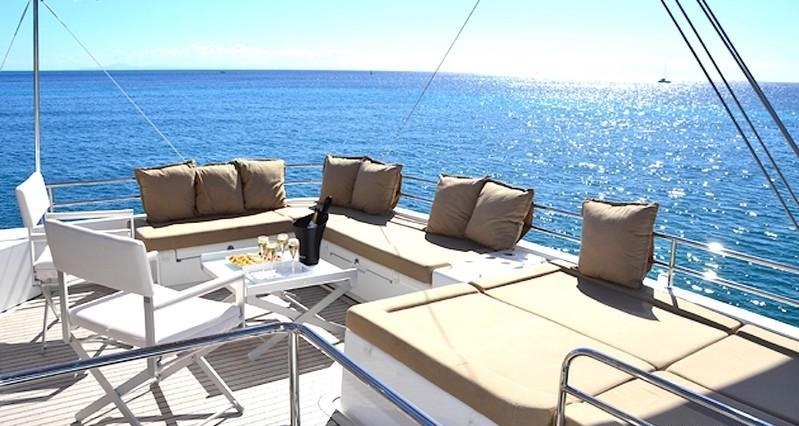 An upper flybridge aboard the ZYLKENE catamaran is well-appointed, boasting plenty of seating, sunning and spectacular views. 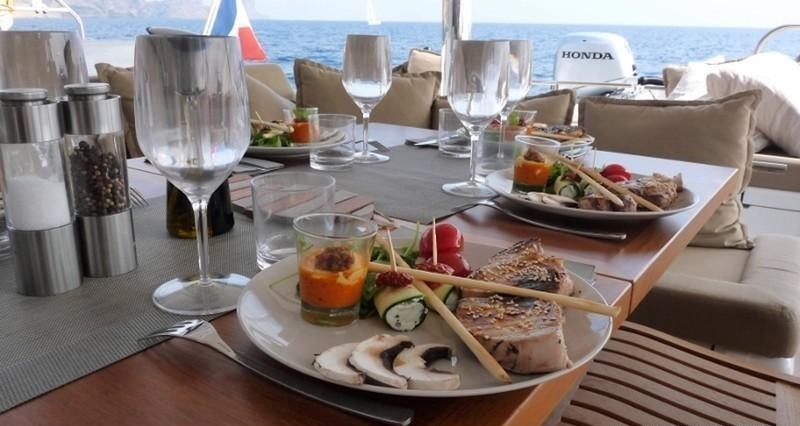 Charter yacht ZYLKENE is powered by 2 x 110hp engines averaging speeds of 9 – 11 knots. 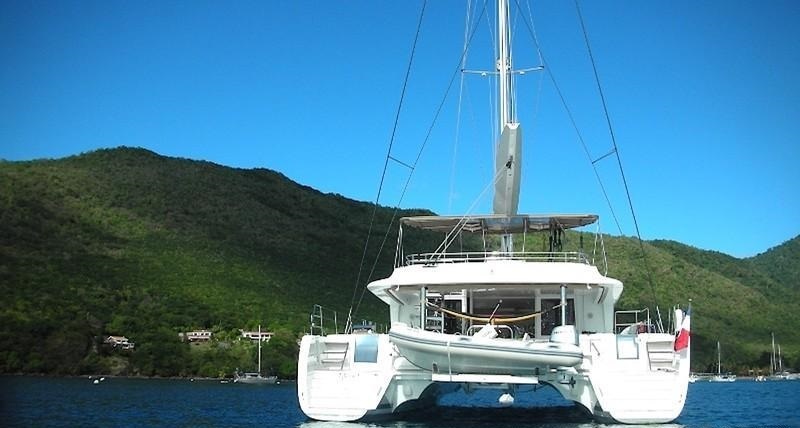 Thanks to the catamaran design, ZYLKENE offers stability, safety and comfort. 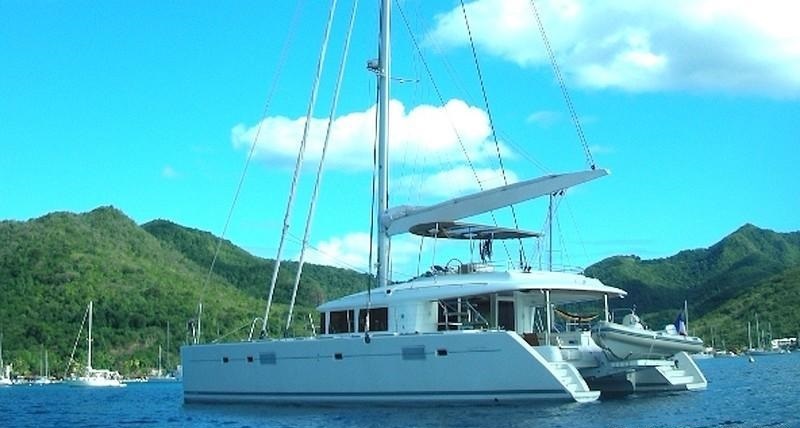 Sailing catamaran ZYLKENE can accommodate up to 8 guests and 2 crew. 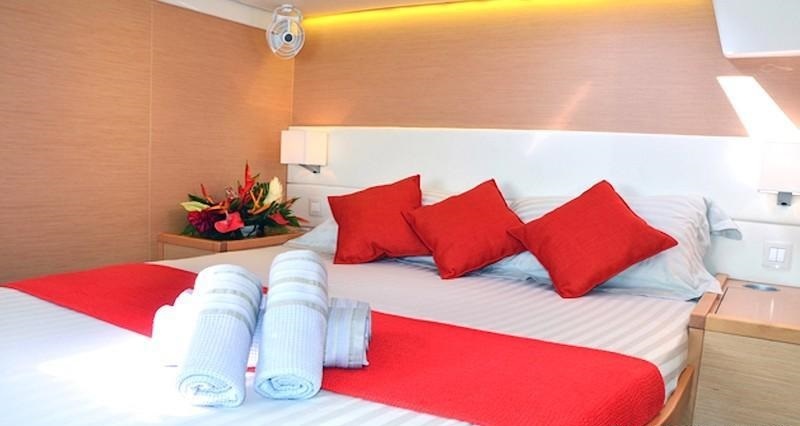 The master stateroom is aft on starboard and features a queen size bed, sofa, vanity and both an interior and exterior entrance. 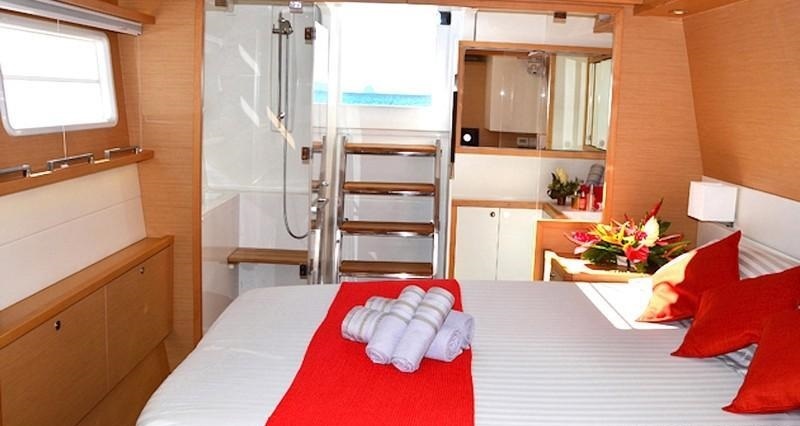 The VIP cabin is aft to port with a queen size bed and dual interior / exterior entrance. 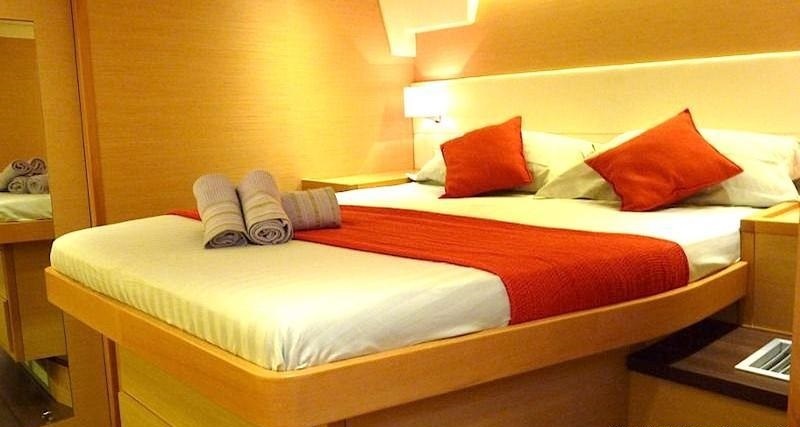 Two guest cabins are forward on port and starboard, with double beds. 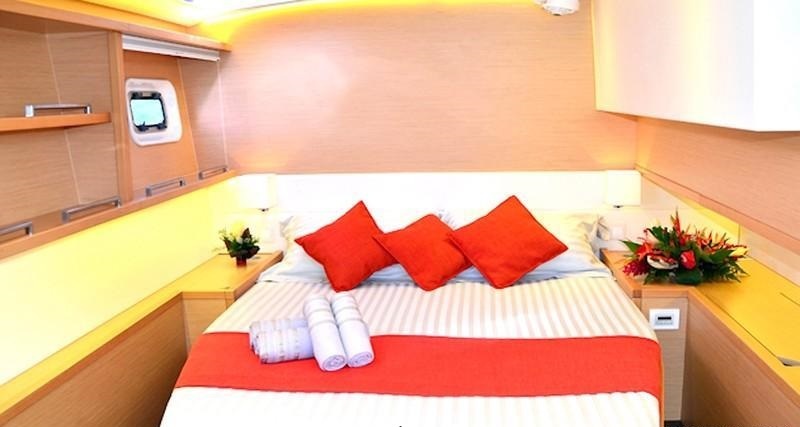 Each fully air conditioned cabin features the trademark one way hull window and offers an overhead hatch, ensuring ample natural light and optional cool sea breezes. The crew has separate quarters and facilities.